This is a different type of story for me to share but I really want to give Stephen the recognition he deserves and hopefully inspire others to know that it is completely possible to change your life very quickly. I worked with Stephen for 9 months in total and we gradually reduced the frequency of our sessions over that time. 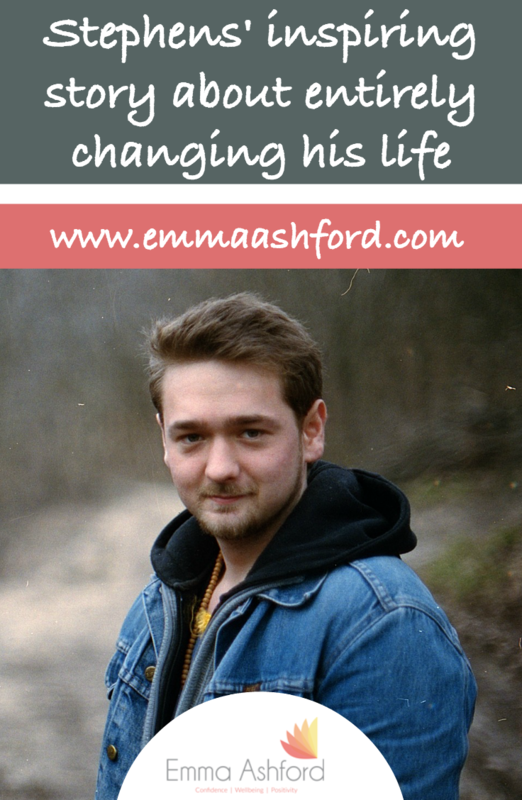 In that time he completely gave up drinking, faced some very difficult emotions, continued to lose weight, started at college to get his GCSE’s and got a new job which will allow him to support and inspire people who are struggling with circumstances he has faced himself. In short, I find this young man incredibly inspiring and I hope the changes he has made can inspire you too! Describe how things were for you just before you started sessions. Before therapy I was heavily drinking, had a really depressive thinking mindset, felt really low, and felt my actions were ruining the relationships I had with loved ones. Describe how things are for you now since ending your therapy sessions. What has changed? Since ending therapy I haven’t drank, haven’t touched alcohol for 9 months now. I have such a clearer and positive mindset, I am now in college studying drug and alcohol misuse and English. If you could go back and give yourself a piece of advice or support when you were struggling, what would it be? The advice I would of given myself back before therapy would be to never give up, as life is such an amazing thing. Emma has been absolutely excellent, the skills she has taught me to overcome a very negative mindset and steer away from the alcohol is amazing. Emma has helped me transform into a new version of myself, one that is loving, kind, caring, and most importantly one that sets a goal and goes out to reach it. I would just like to thank Emma for all the help she has given me, I could not of done it without her. Emma is excellent at what she does and is such an inspiration. I would not be the person I am today without the help from Emma and I cannot thank her enough for that.